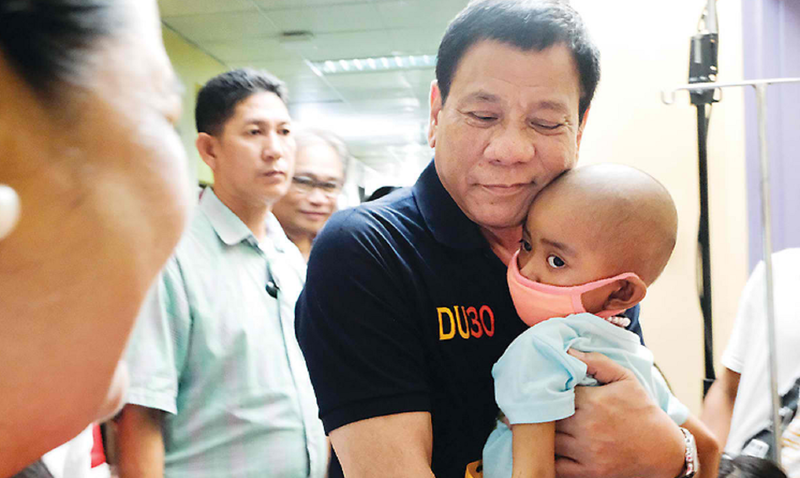 In Davao City, President Duterte played Santa Claus to cancer-stricken children at the “House of Hope,” a dormitory-like two-story building within the Southern Philippine Medical Center (SPMC) here on Christmas Eve. The President has been doing these rounds for the longest time, never missing the chance to spend the holidays with sick children at the transient home. “There is nothing new to it. He has always been doing that. Playing Santa to the children with cancer. That is the soft side of the President, as he also visits the ward section, where patients happen to be confined at Christmas time,” Vega said. The President is a “permanent fixture” at the SPMC, visiting patients in the other wards of the hospital.